I’ve been wanting to try out and write about Max Factor Facefinity All Day Flawless 3 in 1 makeup for a long time. And the perfect opportunity came when my actual Revlon Colorstay make-up became too bright for me. Not only did I want to buy a new Revlon Nuance back then, I wanted to try something new. That’s why I tried out Max Factor Facefinity All Day Flawless 3 in 1 Makeup. I have already heard a lot of praise for this make-up and also read a lot of positive things. And I can say very clearly that I did not regret the purchase in the end. The product became even one of my favorites. It has more than met all my expectations. The first time I used the Max Factor at a girlfriend’s wedding. The perfect test, because it had to survive the whole day. Since the wedding was in late July, I could test very well if the product does what it promised. As you can see on the picture, I chose Nuance 75 Golden. Max Factor Facefinity All Day Flawless 3 in 1 Makeup can be very well applied and adapted to the skin complexion. It felt as if I was applying a face cream that was perfectly adapted to my skin. But it takes some time to be applied properly, as it does not dry quickly. It leaves a nice semi-matt finish. What I was most afraid of was that the makeup did oxidize too much. But I was worried about nothing, because Max Factor has convinced me here as well. It has neither oxidized nor irritated my skin. The best thing was that it has last the whole wedding day perfectly (even at high heat) and when I left in the night it still looked good as if I had applied it just now. But I want to tell you that I have combined it with Rimmel Insta Fix & Matte Powder and that it has possibly improved its durability. If I compare it to Revlon Colorstay, then there is no real winner. Both products are great. 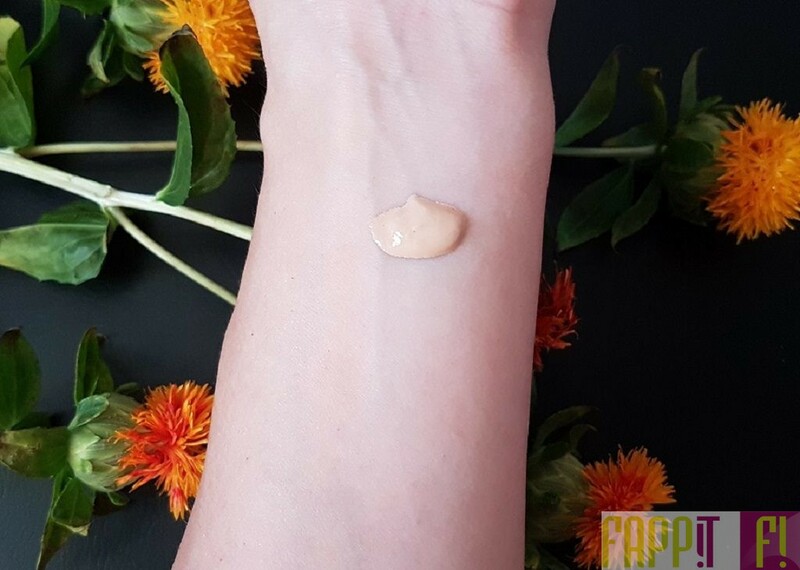 Also Max Factor has a very good coverage, can be applied easily and repeatedly. It lasts the whole day, you do not feel it and it does not irritate or oxidize. To cover the whole face it is enough to pump once. This will give you a medium coverage. If you want to apply it especially well, I suggest that you use a wet beauty sponge. In that case, you will to have to pump two times. For those who want to use both products I can also recommend mixing Max Factor with Revlon Colorstay. It sounds funny, but it works great. Both blended look very good on the face. 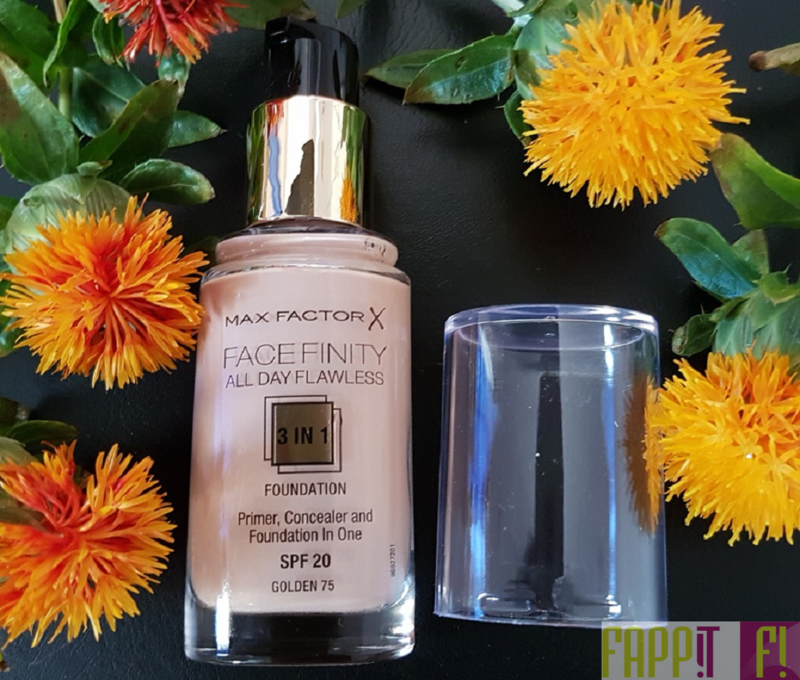 So if you are looking for a good make-up that will not let you down even on a hot day, that lasts all day and is very well tolerated, I recommend trying out Max Factor Facefinity All Day Flawless 3 in 1 Makeup. You can find it in DM stores, on Rossmann.de or online at Amazona.de. In Germany, the price is around 13 euros. 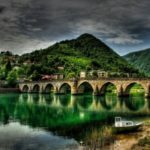 If you want to know more about other products, click here!